The California Coastal Commission this week approved an additional 4,745 square feet for the new Lido House Hotel. Of the extra space, 4,140 square feet will be allotted for the lobby, offices, restaurant, and retail space on the first floor. The remaining 605 square feet will be added to the second floor. The height and setback of the hotel will remain the same, as will the number of hotels rooms and parking spots, at 130 and 148, respectively. 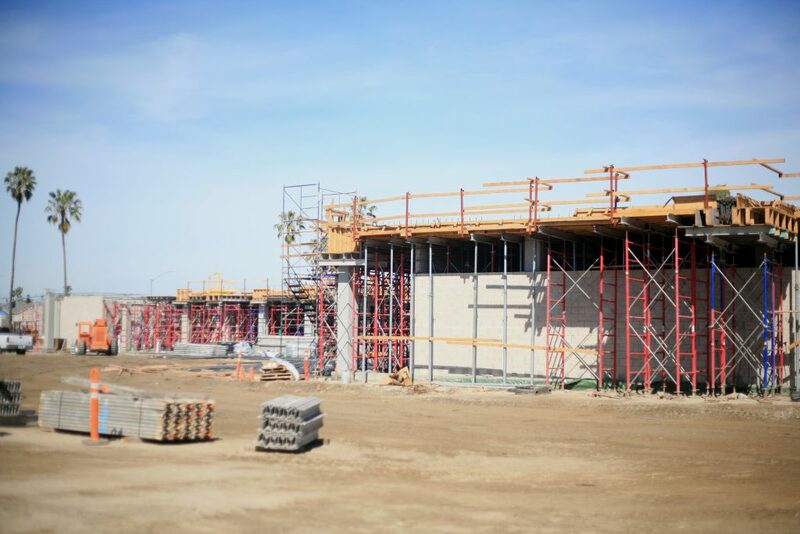 Lido House Hotel is currently under construction at the site of the former City Hall on Newport Blvd. and 32nd St.
Signage and artwork from the now-demolished City Hall will be incorporated into the hotel’s interior, including a few “fun surprises,” Olson promised on Tuesday during a hard hat tour. “We want people to take pride in the project,” Jeremy Dunn, Project Engineer remarked. The company went out of their way to hire local subcontractors and craftsmen based in the city. Unlike many proposed projects in Newport Beach, Lido House Hotel had a great deal of support from the very beginning. Peninsula residents wanted a hotel, but they also wanted a locals-friendly place that honors the region’s past and present. 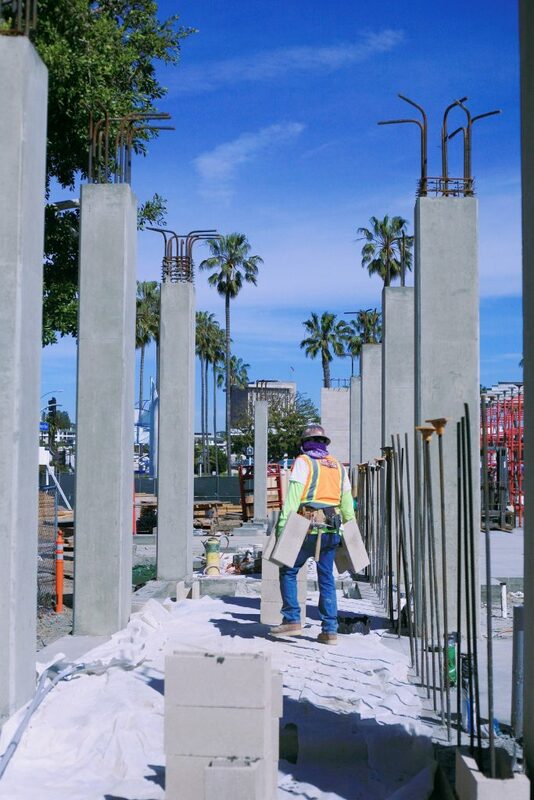 The ficus trees along Newport Blvd are being preserved, as is the original setback of the old City Hall. “We could have built out further, but it didn’t seem right,” Olson said. 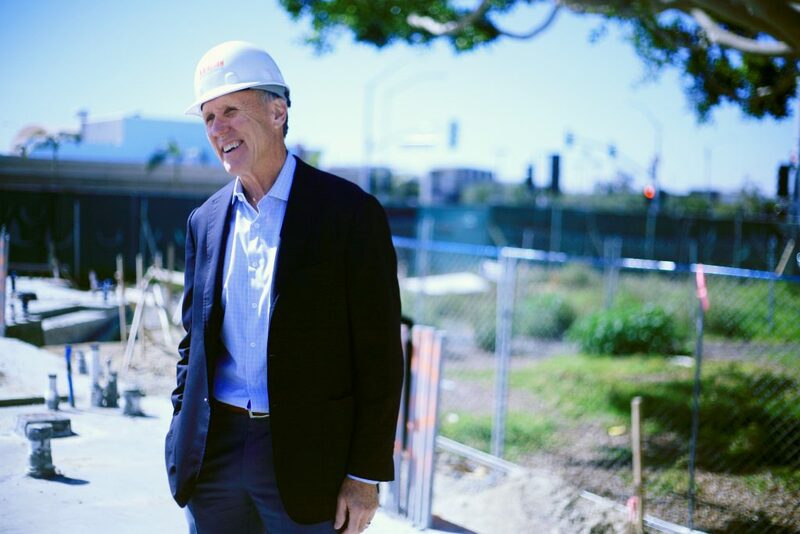 Another nod to the lot’s history is Mayor’s Table, a restaurant which will serve as an entrance to the hotel for people walking in off Newport Blvd. An announcement will be made soon to name the chef. The hotel’s coffee shop will be called Crew Coffee, managed by Keane’s Coffee. Though “Newport nautical” in theme, modern amenities will be featured throughout the resort. For instance, all grassy areas will not be grass at all. Olson partnered with Boone Action Turf for a maintenance-free synthetic turf that won’t allow high heel shoes to sink in. And since Lido House Hotel will be pet-friendly, the synthetic turf will include maximum drainage for four-legged guests to use without worry. Those looking to get a glimpse of construction progress may check out one of the three webcams at rdodevelopment.com/project/lido-house-hotel. The first level is nearing completion, and the second floor is expected to finished by the end of May. By summer, more architectural structure will appear. After one of the wettest winters in recent years, several construction days were lost, the Olson team admitted. They had only 10 solid working days on-site during the rainy month of January. They are on schedule, but over-budget (although Olson wouldn’t provide details). The Lido House is now scheduled to open in January 2018, and will begin to take reservations this summer. Work on the Lido House Hotel is underway. Bob Olson, President & CEO of R.D. Olson Development, looks over the work on the Lido House Hotel.